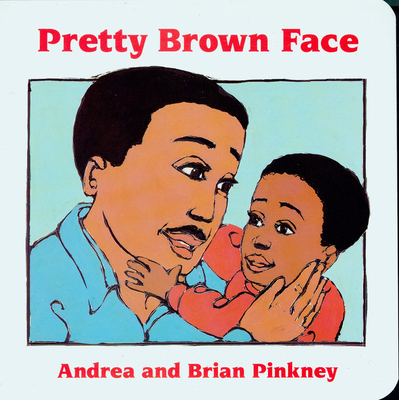 Help boil the greens, flip the fish, and slice the pie for a mouth-watering family meal in I Smell Honey, then join the fun as a baby boy discovers the unique features that make his face so special in Pretty Brown Face. In Shake Shake Shake and Watch Me Dance, explore the joys of rhythm and movement. These spirited board books celebrate the loving closeness of an African American family. Andrea Davis Pinkney is the New York Times best-selling author of several books for young readers, including the novel Bird in a Box, a Today Show Al Roker Book Club for Kids pick, and Hand in Hand: Ten Black Men Who Changed America, winner of the Coretta Scott King Author Award. Additional works include the Caldecott Honor and Coretta Scott King Honor book Duke Ellington, illustrated by her husband, Brian Pinkney; and Let It Shine: Stories of Black Women Freedom Fighters, a Coretta Scott King Honor book and winner of the Carter G. Woodson Award. Andrea Davis Pinkney lives in New York City. Brian Pinkney is a celebrated picture-book illustrator who has won two Caldecott Honors. His professional recognition includes the Coretta Scott King Illustrator Award and three Coretta Scott King Illustrator Honors. He has collaborated with his wife, author Andrea Davis Pinkney, on several picture books including Duke Ellington: The Piano Prince and His Orchestra and Sleeping Cutie. The Pinkneys live in Brooklyn, New York.